Cross-posted from Jewish Heritage Europe. To mark the 25th anniversary of the fall of communism, the Wrocław edition of Gazeta Wyborcz newspaper is organizing a poll as to the major event in the region in the past quarter century. 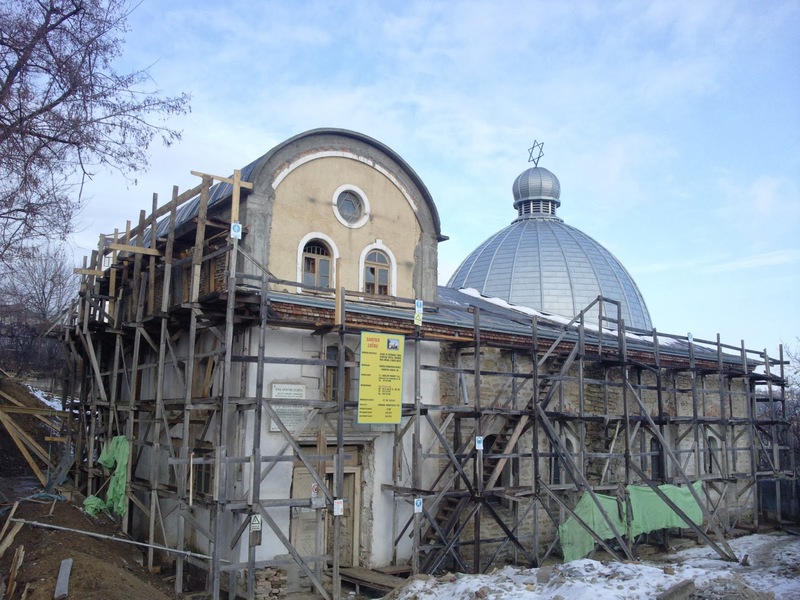 The restoration and re-opening of the historic White Stork Synagogue is one of the 15 nominees. Inaugurated in 1829 and designed by Carl Ferdinand Langhans, the synagogue was seriously damaged on Kristallnacht but not torched because of its proximity to other buildings. The Nazis converted it into an auto repair garage and warehouse for stolen Jewish property. The synagogue was officially re-opened in May 2010, after a fitful restoration process that began in 1996, funded by the Foundation for Polish-German Cooperation and the company KGHM Polish Copper SA. Work stalled, but the restoration was completed after the Bente Kahan Foundation stepped in to spearhead the project and and in 2008, in cooperation with the Union of Jewish Religious Communities and the City of Wroclaw, managed to obtain funding for the project from Iceland, Liechtenstein and Norway through the EEA Financial Mechanism. Today, it is used for civic cultural events and major Jewish celebrations, and it also houses a permanent exhibit on Jewish history and culture. You can vote HERE — on Gazeta’s web site. 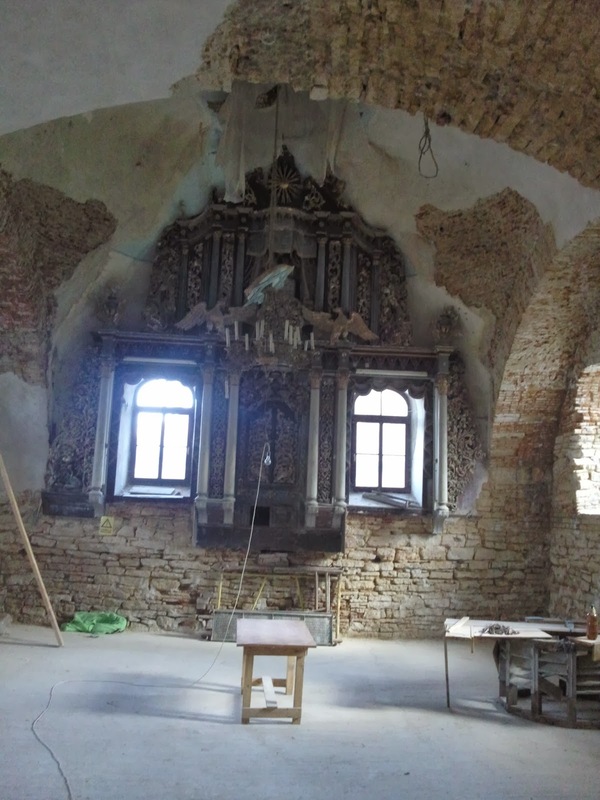 (ISJM) After more than six years of abandonment, the 17th-century Great Synagogue of Iaşi, in northern Romania, is again the object of government-sponsored restoration work, thanks to pressure by the Federation of Jewish Communities of Romania (FedRom), and international attention. 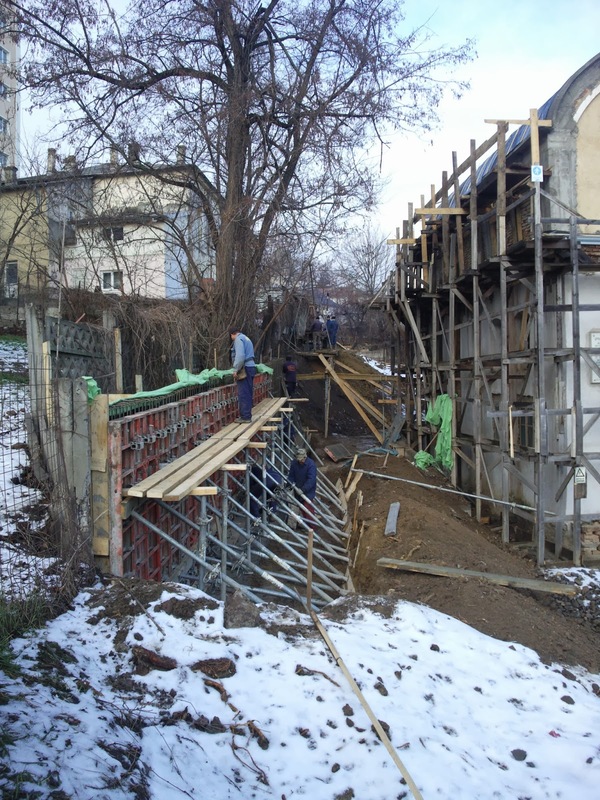 After years of repeated appeals from the Federation of Jewish Communities of Romania (FEDROM) to re-start this work, The Ministry of Culture and Heritage (MCP) has restarted the project which was stalled after the primary contractor went bankrupt in 2007. Now, according to FedRom representative and architect Lucia Apostol, one of the best preservation contractors in Iaşi, IASICON LTD, has been selected to complete the conservation work. New work began in the second half of 2013 and emergency conservation work, including roof repair and removing dampness from the foundations, was completed at the end of 2013. The contractors estimate that the entire project will cost 2.34 million lei (approximately US$700,000). In 2013 the Ministry of Culture (MCP) allocated about 650,000 Lei, about 27% of the project cost. Assuming similar allocations continue for the next few years, the restoration would be completed in about three years from now. Future allocations, however, are not certain, and costs can rise. In addition, there is needed work not included in the MCP project, which must be financed by FedRom. This includes all provisions for religious use, including restoration and provision of a functioning ark, bimah, and chandeliers. In recent months roof work has been completed, including replacement of the metal covering the synagogue dome. Additional funds, most likely from international donors, will certainly be needed. In October 2013, The World Monuments Fund (WMF), placed the Iaşi synagogue on its 2014 Watch list of endangered cultural heritage sites, on of 67 sites worldwide so-designated. Launched in 1996 and issued every two years, the Watch List is the flagship advocacy program of WMF, aimed at focusing attention on key threatened sites (I was glad to write a recommendation for the listing on behalf of FedRom’s application). To arrange contributions to the project contact WMF. The synagogue is the oldest in Romania and one of only two synagogues still standing in a city that before World War II had more than 100. It is already recognized as a Romanian National Historic Monument. It was built in 1670-1671 for a small community, and subsequently rebuilt or restored rebuilt in 1761, 1822, and 1863. The synagogue originally had a more rural appearance. It is free standing and is set in a small garden, but is now almost entirely surrounded by new buildings. The building is noteworthy for its simple block-like massing surmounted by a tall dome. Inside, a very large and elaborate Torah Ark, surrounded by frescoes, fills one end of the vaulted prayer hall, which is sunk below ground level. The former women's gallery housed a small exhibit on local Jewish history, organized in the 1980s. This is now, like the synagogue, closed. The synagogue’s age, distinctive form, and the fact that it has continued to serve a small but active Jewish community, are all remarkable in Romania and have made the synagogue widely known internationally. Unfortunately, the building needs serious repair and restoration – work that was stopped five years ago – and deserves greater recognition (with the history it represents) within Romania itself. The Iaşi synagogue is just one of scores of noteworthy synagogues still extant in Romania. Most need maintenance and repair, and many need more extensive restoration. 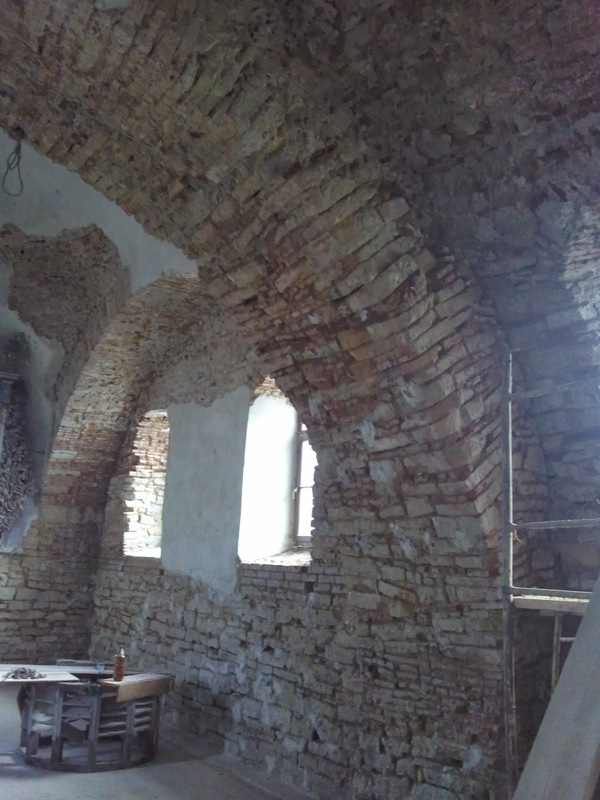 FedRom has prioritized these needs and is developing several preservation projects around the country in addition to the government assisted project at Iaşi, including the main Choral Temple in Bucharest; the Great Synagogue in Oradea; and the synagogues in Galati and Tulcea. 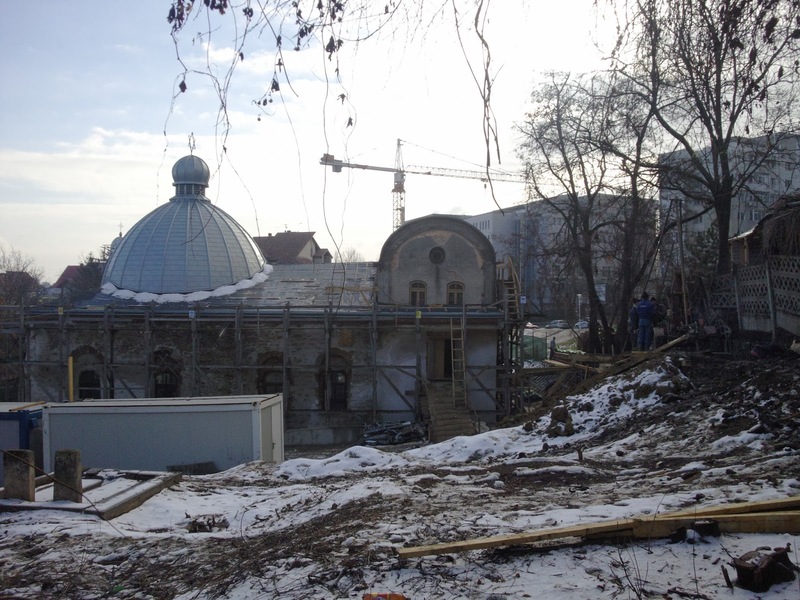 Attempts to restore and preserve the Iaşi synagogue stopped for many years. Restoration of the building, funded by the by the Ministry of Culture and Heritage of, began in 2006 but stopped in 2007 when Remicon Ltd, the construction company that was carrying out the work went bankrupt. Since then, the synagogue was left in a perilous state since then; closed to the Jewish community and public, surrounded by scaffolding, with walls uncovered and its dome unprotected. Now, in addition to its earlier structural problems, exposure to the elements has resulted in further deterioration. The Jewish community in Romania is very small and poor, with very limited political and cultural influence. Despite the a relatively large Jewish population of Romanian origin in the United States and Israel, the plight of Jewish heritage sites in Romania has not received the attention and support given to Germany, Poland, Lithuania and some other countries. The Romanian Jewish Community carries responsibility for a very large number of extant synagogues and other sites, but has very limited resources and staff to monitor, maintain and restore them. Architect Lucia Apostol described the challenges facing of Jewish heritage preservation in Romania in her presentation at the April conference in Krakow on Managing Jewish Immovable Heritage in Europe. Iaşi is the capital of Moldova and as such is one of the major cultural centers of Romania. For centuries the city was an important center the Jewish culture and religion for Northern Moldova and Bucovina. The city once supported a large Jewish population, though this was devastated during the Romanian Fascist period and the Holocaust. Before World War II the Jewish community of the city probably was half the total city population – and there were over 100 synagogues and prayer houses. During the Iasi Pogrom of June 29-July 6, 1941, and its aftermath, about 14,000 Jews were killed or deported - about half the Jewish population of the city. The history of Jewish Iaşi, its destroyed synagogues and its devastated and dispersed Jewish population, now resides in the surviving Great Synagogue. You can read my article about the Chai Adam Synagogue mural - the Lost Shul Mural - in Burlington, Vermont in the current issue of The Forward. Here is the link to the piece that was published online on January 17, 2014. (ISJM) A new 50-page report organized by the Brama Cukerman (Cukerman’s Gate) Foundation of Bedzin, Poland, documents the known Jewish cemeteries in the Polish province of Silesi. Sixty-five cemeteries are identified, of which only 42 still have more than one tombstone. Other cemeteries were destroyed, during or after World War II and converted into parks, car bases or wasteland. This report updates documentation work first done more than twenty years ago in survey work carried by the Jewish Historical Institute of Warsaw and sponsored by the United States Commission for the Preservation of America's Heritage Abroad and the World Monuments Fund. It is difficult to compare results since Polish administrative boundaries have changed since then, but forty cemeteries, including twenty with more than 100 surviving gravestones, such as major cemeteries in Bytom, Gliwice, Katowice and Pilica, were documented in the Katowice Region at that time. There has been a lot of work documenting cemeteries in the area since then (see the bibliography in the report) and the new report contains more information and up to date assessments of site conditions. The new report contains information on cleaning and preservation activities when these have taken place. The Brama Cukerman (Cukerman’s Gate) Foundation has also been active in the preservation of an important Jewish prayer house in Bedzin that retain many fragments of painted decoration. Of the 65 cemeteries, only five — in Bielsko-Biala, Bytom, Katowice, Sosnowiec and Gliwice - can still be used for Jewish burial. Only a small number of Jews live in a few communities in Silesia. Overall, these are the most devastated cemeteries. There destruction goes back to World War II, and subsequent neglect, especially in the first decades under Communism. The fate of these cemeteries remains unresolved, more than two decades after many were first identified and brought to the attention of local officials. Because many of these sites have no visible stones, they are often not seen as sacred sites, or as significant cultural heritage sites. Because these cemeteries are the legacy of German Jews, they are often not seen as important to the local culture. "In local Polish society there are common colloquial opinions, such as, “the cemetery is Jewish so Jews should take care of it.” That kind of “anti-Semitic subtext” does not lead us to the solution of the problem. The contemporary local Jewish community has no financial or technical capacity to take care of all closed cemeteries. In the Jewish diaspora often there is are no one who has a family relationship with these towns. So who really should take care of the Jewish cemetery if not the present inhabitants of the town?" The Foundation and the researchers are to be congratulated on sponsoring this work, and restating and restarting the discussion about the future care of these cemeteries. The Brama Cukerman (Cukerman’s Gate) Foundation in Będzin, Poland, has recently published “Our Cemeteries,” a detailed, 50-page report on the state and status of the dozens of Jewish cemeteries in the Silesia Vojvodship (Province). Congratulations to authors Dariusz Walerjański , Piotr Jakoweńko and Rafał Cebula. For the English translation of part of the Introduction, click here. Padua, Italy. Jewish cemetery. Gravestone of Leb Lodi, ca. 1545. One of many similar portico front stone from the mid-16th century. Photo: David Malkiel (see below). David Malkiel, “Renaissance in the Graveyard: the Hebrew Tombstones of Padua and Ashkenazic Acculturation in Sixteenth-Century Italy": AJS Review 37:2 (November 2013), 333-370. David Malkiel has published a thoughtful and detailed article based on the nearly 100 sixteenth-century Hebrew gravestones extant at the Jewish cemetery in Padua. This is the second Jewish cemetery of the famous university town and Jewish center located close to Venice. The first was destroyed in the war of the League of Cambrai in 1509, the same war that brought so many Jewish refugees to Venice and thus stimulated the creation of the first official Italian ghetto in 1516. In Padua, where more than 1200 Jewish funerary inscriptions survive from between 1530-1860, Malkiel is able to use both the architectural form of the stones and the commemorative and literary content of their inscriptions to trace a pattern of accommodation and acculturation between Italian Jews (italiani) and Ashkenazi Jews (tedeschi) during the 16th century. Malkiel summarizes his findings thus: "The literary features of the inscriptions indicate a shift from a preference for epitaphs written in prose, like those in medieval Germany, to epitaphs in the form of Italian Jewry's occasional poetry. The art and architecture of the tombstones are part and parcel of the renaissance ambient, with the portals and heraldry characteristic of Palladian edifices. The lettering, too, presents a shift from the constituency's medieval Ashkenazi origins to its Italian setting." This is a very rich article - and there is a lot more in it regarding the relationship to tombstone design to formal designs for Arks in synagogues interiors, for parochets and for title pages for Hebrew printed books. Malkiel writes: " Architectural frames were conventionally used in early modern Europe to structure a broad range of objects, including mantels, moldings, candelabra, and illuminated documents. The classical portico, with pediment, entablature, columns, and portal, began appearing in Italy in the early fifteenth century. The portico became extremely popular, and served to ornament the title pages of books, as well as actual buildings. Italy’s Jews, too, applied the portico to Hebrew title pages, in print and manuscript, and also to the illuminated ketubah, or marriage contract. In the graveyard, the gable represents the portico, especially when accompanied by entablature and pilasters. A series of portico tombstones from the latter half of the sixteenth century have a distinctly Palladian character. Importantly, the author is emphatic in stating "it is certain that Catholic tombstones could not have inspired the Jewish gravestones. The Jewish gravestone had no analogue in Christian Europe in the Middle Ages, including the 16th-century. This claim surprised me - and if true it is very important for identifying a unique development of style and taste for Jewish art. I'll have to check around at Italian Christian graves. Malkiel also writes at length about the many personal and family emblems that decorate stones and place the deceased within the local social structure, and he writes how Ashkenazi Jews gradually - or sometimes not so gradually - accepted Italian language and social mores. I hope this study proves a model for work elsewhere in Italy. The stones of the Venice cemetery have been fully published, and so are ready for deeper analysis. I don't know about the state of work on the many other Italian Jewish cemeteries...I'll report back!